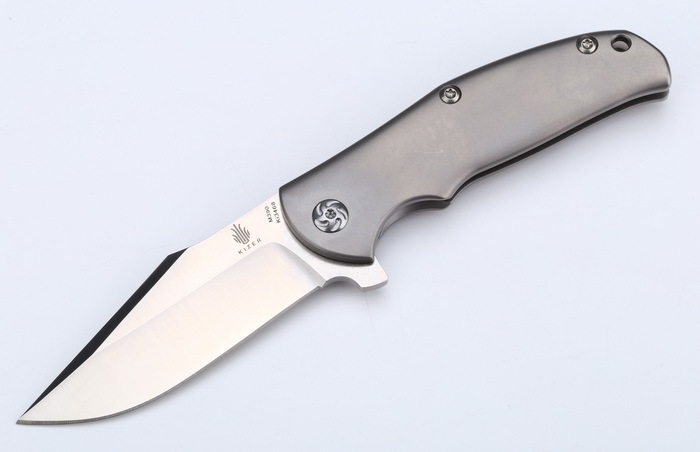 The limited edition Mini Intrepid flipper from Kizer is an exciting collaboration with knifemaker Ray Laconico. This more compact version still has that same solid feel in hand, but features open handle construction with polished standoffs. Like other models, it is outfitted with a steel lockbar insert and tip-up carry clip. The blade has been upgraded to Bohler M390 stainless steel with hollow grinds and a stonewash finish. Ceramic ball-bearings at the pivot ensure excellent action when deploying the blade.